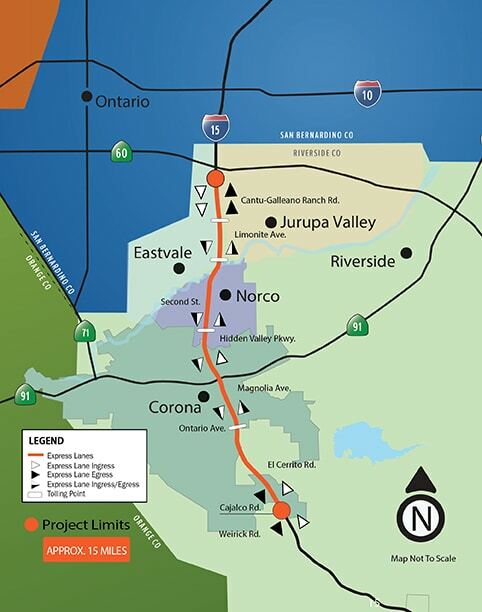 RCTC and its project partners, Caltrans and the Federal Highway Administration, are investing $471 million to improve Interstate 15 between Cajalco Road and State Route 60. The project adds two tolled express lanes in both directions and includes the widening of bridges and construction of six soundwalls. 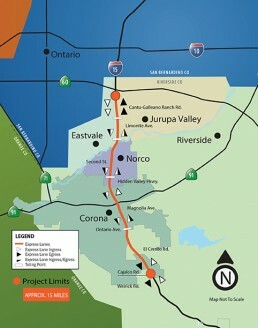 This design-build project will provide multiple entry and exit points within the 15 Express Lanes and extend Riverside County’s express lane network.